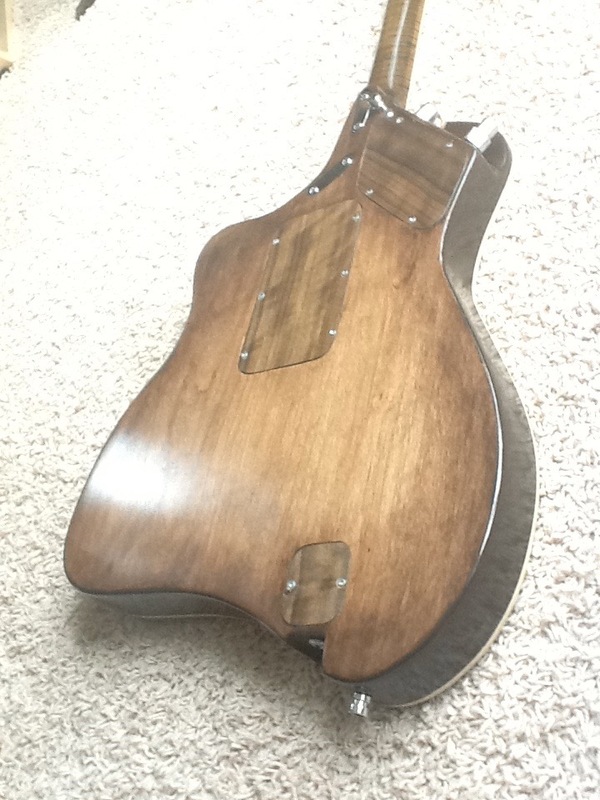 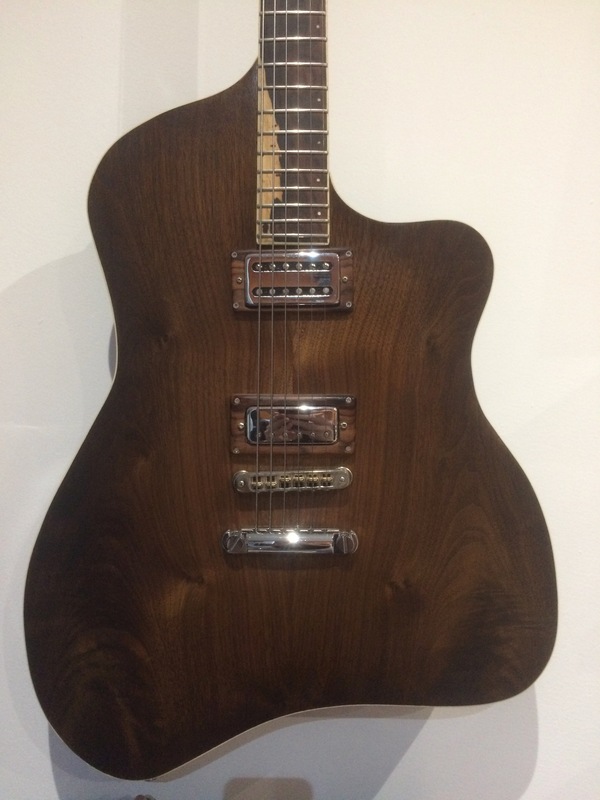 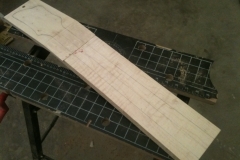 With the alder “left over” from building number 2, I thought I should make another guitar. 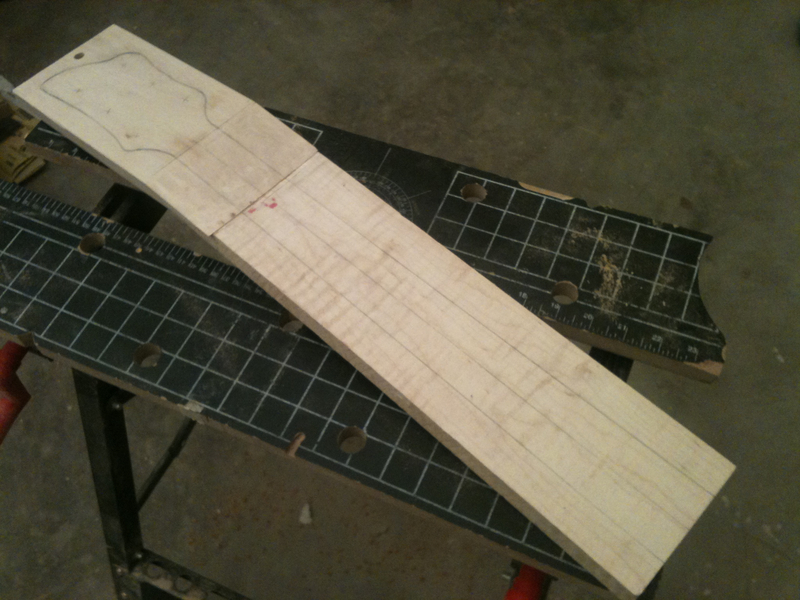 Number 3 is semi acoustic, with an almost completely hollowed out alder body, curly maple neck and cocobolo fingerboard. 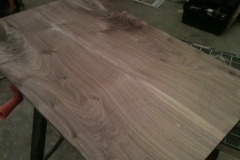 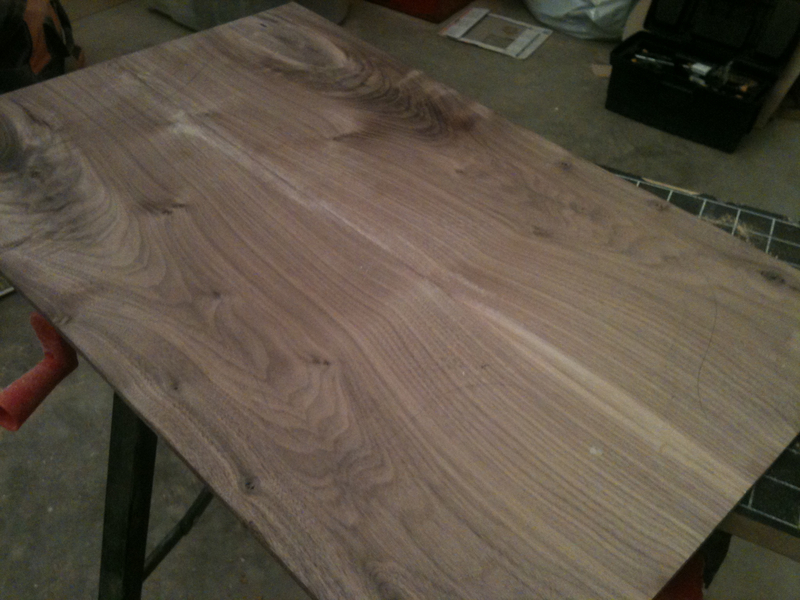 That same piece of cocobolo ended up on Number 5. 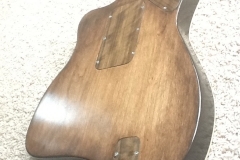 To keep the walnut top free of controls and give it a clean appearance I put the controls on the side of the body, like an acoustic. 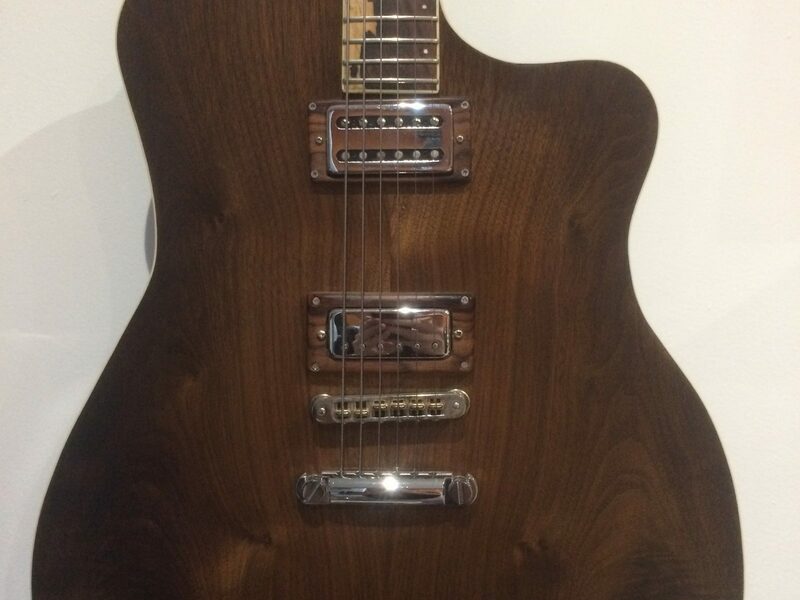 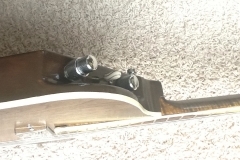 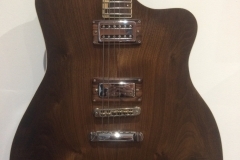 Electrics include a volume and tone (concentric pots), a five way switch (off / bridge / both / neck with capacitor / neck) and a separate volume for the LR Baggs X Bridge which gets routed to one side of the stereo output jack. 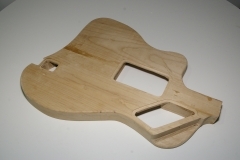 I use a splitter box to send the LR Baggs piezo signal to an acoustic pedal and the other pickups to an amp.